While talking to the Washington Post on the last day of his four-day stay in Washington, Saudi Prince Mohammad bin Salman revealed a secret that “during the Cold War, Kingdom of Saudi Arabia invested in mosques to spread Wahhabism to counter the communist influence of the Soviet Union after being asked by its allies”. Prince MBS has established that the Jihad was a geopolitical strategy for the sake of power and resources rather than serving the Islam. Now, one can think about all the apologetics defending the Afghan war in Pakistan and other places containing a bundle of logical fallacies in their arguments. Islamism or what west call it Islamic Extremism (some call it Jihad while some disagree as they consider it a war not against oppressors but for the resources and power) has deep roots in the Middle East. Wahhabism is just one factor among this jumble of factors that caused extremism or Islamism in the region. Gilles Kepel, a French political scientist, calls it “pre-eminent position of strength in the global expression of Islam” that was occupied by KSA in 1970-80’s through the strict interpretation of Sunni Islam. Prince MBS is just trying to sweep all under the carpet by just giving a single statement expressing the innocence of Saudis. While, in South Asia where about one-third of world’s Muslim population resides, Islamism expanded through work of Jamaat e Islami, Tabhlighi Jamaat and to somehow bitter memories of colonial brutality by Britain. There were multiple “pull and push” factors involved in the participation of Muslims in this wave of extremism in the Middle East and North Africa but six factors can be seen predominantly. First, the decline of Arab nationalism. Anti-colonial ethos pushed Arabs towards Arab nationalism. Gamal Abdel Nasser in Egypt and others started a new narrative of being “Arab” during 1950’s but it was declined after Arab-Israel war (5-10 June 1967) also known as Six-Day War, and the defeat of Arabs. Jordanian-Palestine war (also known as Black September, September 1970 – July 1971) further led to the decline of Arab nationalism. During this conflict, the head of Pakistani training commission Brigadier Zia ul Haq (later became 4 star General, 6th President of Pakistan after declaring martial law in 1977) took command of the 2nd Division and helped to kill and cleanse the Palestinians (est. 25,000 dead) from Jordan. The killing of thousands of innocent Arabs by another Arab country discredited Arab Nationalism. Arab Nationalism is mainly a 20th-century phenomenon. Nasser was successful in his anti-imperialist rhetoric. Under the umbrella of Arab nationalism, Egypt and Syria were merged into one state for the purpose of a large pan-Arab state (United Arab Republic U.A.R.) for 3 years (1958-61). Nasser was not only the hero of Arab Nationalism but a hero of third world nationalism. It was seen during his participation in Bandung Conference (first large-scale Afro–Asian Conference, a meeting of Asian and African states, most of which were newly independent, on April 18–24, 1955 in Bandung, Indonesia). For centuries, no one questioned the reign of Turks but when young Turks came into power and proved to be more aristocrats, it agitated Arabs especially those who were already not much happier with them. During World War 2, turkey supported Germany against allies. When Germany lost the war, opponent allies were furious at turkey so eventually, Shareef Hussain revolted against it. Second, social change in Arabic peninsula. Many countries viewed education a vehicle for development and a solution of severe poverty and inequality. Simultaneously, rapid drift triggered by oil and urbanization caused a massive demographic shift. Massive population in many Arab countries, urban youth attending schools and then access of urban youth to radio and TV pushed them to think about their rights. High unemployment also fueled this scenario. Third, Wahhabi expansion was an important factor. Money was invested to expand the specific brand of Islam that Prince MBS is referring to. During Nasser’s regime, he was threatening monarchies of the gulf while after his death there was no challenge to Saudi power. The same time oil boom multiplied Saudi resources that were invested into specific religious fundamentalism. Fourth, Islamic revolution of Iran was a watershed for both Shia and Sunni Islam. Khomeini insisted that it was not a Shia specific revolution (east or west) rather an Islamic revolution. It was the only non-allies revolution i.e. neither pro-soviet nor pro-west. Khomeini’s revolt and successful theocratic movement induced a sense of pride among Muslims and gave them a hope for a change. It provided practical corroboration to those who saw the failure of their governments due to turning away from Islam and over-reliance on superpowers of that time. Fifth, the authoritarian or personal rule. Theo-politics has not been to Muslim societies only but one can see it is predominant among Muslims. Most of the countries in the gulf had the authoritarian rule that was not different than The Dictator (political satire comedy 2012) in contrast institutional rules. Personal rulers were above the law so that contributed a sense of revenge among young Muslims. Sixth factor that I would like to borrow from Dr. Franz Kogelmann (Professor of Political Islam, University of Bayreuth) who asserts recent Islamism has its roots in the past conflict between Muslims and western colonial powers. Many Muslims were quick to interpret their lack of military strength as an indication of economic, political, and finally even intellectual backwardness. 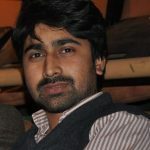 Sohail Mujahid is a PhD Scholar research fellow at Harvard University. He is studying socio-cultural transformations of health/illness behaviors with specific context of faith and social support. He has written more than 15 academic research articles in Pakistani and international journals in the field of medical sociology. Stop killing your children; let them be what they are good at! !